As a tribute to all the Capricorns celebrating their birthdays at the moment, (including me! ), the theme this week was GOING OUT AND PARTYING. Some famous Capricorns include Elvis Presley, who would have turned 75 this week, David Bowie, Annie Lennox, Patti Smith, Janis Joplin, Dolly Parton… the list goes on. Oh, what amazing company I’m in! We opened the show Pink’s GET THIS PARTY STARTED and if that song can’t get you in the party mood I don’t know what will. If you’ve never seen Pink perform live, you are really missing out. Here’s some footage from her show at the Wembley Arena. Enjoy. The Theme Park party was off to a great start and the party continued with Santana’s INTERPLANETARY PARTY from the 2007 album, Ultimate Santana. But, I ask you, what’s a party without James Brown? One thing you can count on, he’s GONNA HAVE A FUNKY GOOD TIME. Joe Jackson was also STEPPIN OUT and, as the Showstoppers explained, with their hit of 1968, it AIN’T NOTHIN BUT A HOUSE PARTY. 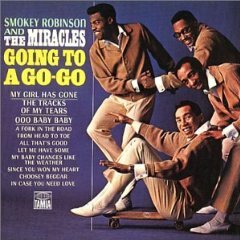 Loved Sam Cooke’s smooth rendition of WE’RE HAVING A PARTY but I have to admit that I was totally intrigued by Smokey Robinson and the Miracles song title, GOING TO A GO-GO. I have no idea what a Go-Go is, but the song is a sure fire dance floor filler, so it has to be about a party, surely. Claudine Clark’s one-hit wonder of 1962, PARTY LIGHTS, stands out because she wrote the music and the lyrics herself, which was unusual for a female performer during that time. Sung from the point of view of a teenage girl ordered to her room while her friends were out having a good time, “Party Lights” struck a chord and shot into the Top Five on both the pop and R&B charts. What’s the purpose of a party? Well, let’s face it life can be pretty serious a lot of the time, so getting together with your friends and celebrating the positive things in life can be a lot of fun. Although I can testify that the after effects don’t always make it worth the effort. But that’s just my hangover talking. I’m sure the wonderful Amos Milburn wouldn’t agree and he has a great song to prove it – LET’S HAVE A PARTY. We played PARTY TRAIN by the Dazz Band on our Train show but it deserved a second listen. Smiley Lewis followed with CALADONIA’S PARTY. Now anyone with a name like Caledonia deserves to have a party in her honour, don’t you think? Bobby Darin was just sitting in his bath, minding his own business and gets out of the bath with just a towel around him. Now how did he know there was a party going on? That’s how he tells it anyway in SPLISH SPLASH. ZZ Top know how to do party. They’re turning up the radio and having a PARTY ON THE PATIO. Lesley Gore, on the other hand, needs a bit of sympathy. As she tells it, ITS MY PARTY (and I’ll cry if I want to). The Donnas give short shrift to gatecrashers on WHO INVITED YOU? And for my guilty pleasure it was Kiss: “and you say you wanna go for a spin, the party’s just begun, we’ll let you in, you drive us wild, we’ll drive you crazy.” Yes, indeed, I WANNA ROCK AND ROLL. Maybe the party lifestyle isn’t what its all cracked up to be. Not according to Elvis Costello and the Attractions, anyway, with PARTY GIRL or Marc Almond and Soft Cell with their reality check of a song, BEDSITTER. The Beastie Boys are ready to FIGHT FOR YOUR RIGHT TO PARTY. Excellent. 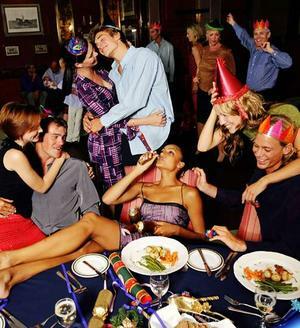 Even Bob Dylan had a song for us about parties – MILLION DOLLAR BASH. Time to finish the show and what better way than with the brilliant Blossom Dearie with THE PARTY’S OVER followed by the Beatles’ BIRTHDAY. Here’s a cute piece of animation created by Mery, for all the Capricorns out there. I thought next week I might have to work off some of the birthday cake, so it’s a show more for the walkers, than the talkers. The theme is WALKING AND RUNNING. Any suggestions? Posted on January 13, 2010, in Broadcasting and media, community radio, music, music - nostalgia, music, blues, music, country, music, r&b, music, soul, pop, Radio Program, rock'n'roll, Uncategorized and tagged Alcia Bridges, Amos Milburn, Annie Lennox, Australia, Beatles, Blossom Dearie, Blues, Bob Dylan, Bobby Darin, Byron Bay, Capricorn, Claudine Clark, David Bowie, Dazz Band, disco, Dolly Parton, Elvis Costello, Elvis Presley, James Brown, Janis Joplin, Joe Jackson, Kiss, Kook & The Gang, Lesley Gore, Lily Allen, Louis Jordan, Marc Almond and Soft Cell, Michael Jackson, Motown, music, Party, Patti Smith, Pink, pop, R&B, radio, rock, rock 'n' roll, Sam Cooke, Santana, Showstoppers, Smiley Lewis, Smokey Robinson & The Miracles, soul, The Beastie Boys, The Donnas, The Irish Rovers, The Specials, Theme music, Three Dog Night, Wanda Jackson, ZZ Top. Bookmark the permalink. Leave a comment.